Imagine being on a journey. With no plans, no expectations and no obligations. Just you and the road. That's what this Yves Saint Laurent collection Savage Escape is all about. It's inspired by the boundless freedom and adventure that is promised from a journey through the desert. Say hello to my new favorite lipstick! I can't decide if it's my favorite go-to lip product at the moment because it smells like mangoes (favorite fruit), is in the most beautiful pink shade (I'm kinda really loving pink recently, hence the hair color atm) or because it has the most stunning packaging with my name on it! I adore it so much that it's all that I've been wearing on my lips for the past two weeks. Thanks to the oils in it, it provides an instant hydration and all day comfort. It literally instantly melts onto the lips when you apply it. Besides that it's also very pigmented. 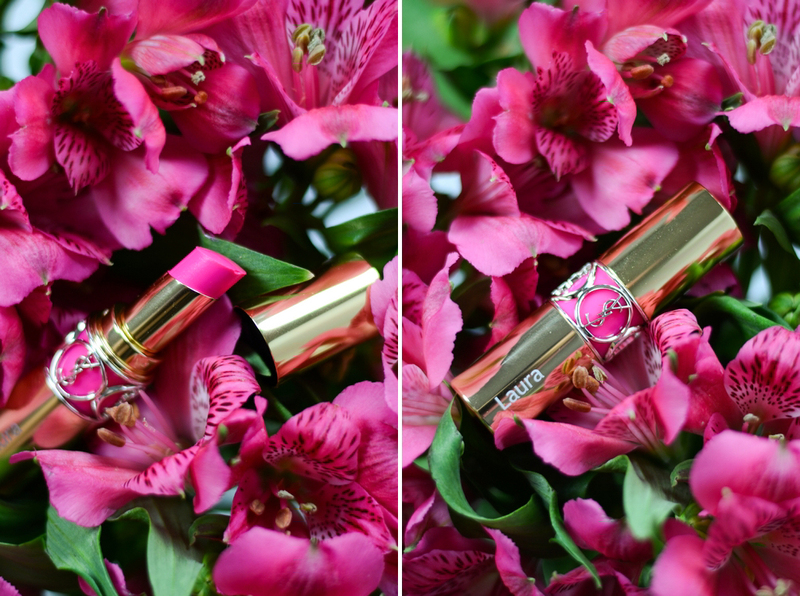 I was pleasantly surprised when I tried it for the first time, because I was sure that it's going to be more like a light, sheer glossy lipstick. Well there is nothing sheer about this lipstick. It's definitely shiny, but it's also very opaque. 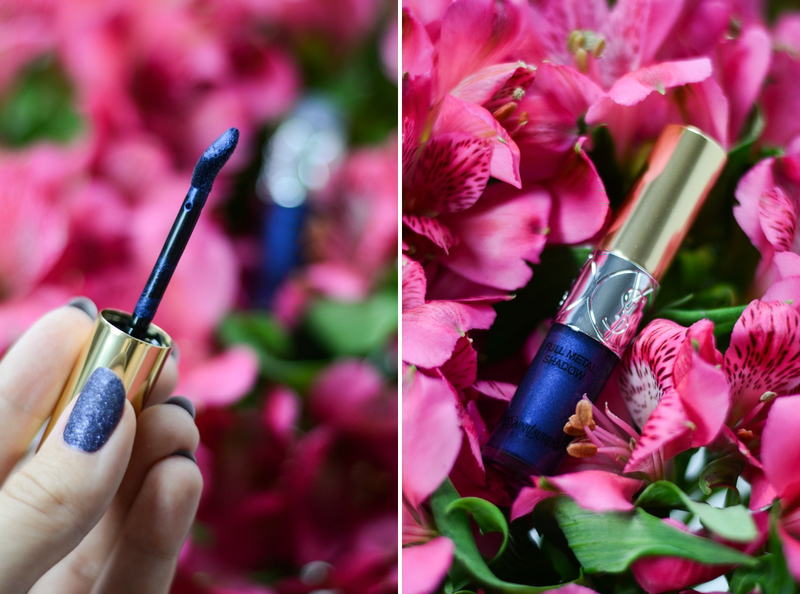 So you probably know that YSL has their liquid eye shadow collection, but this is their first metallic shade in this range. 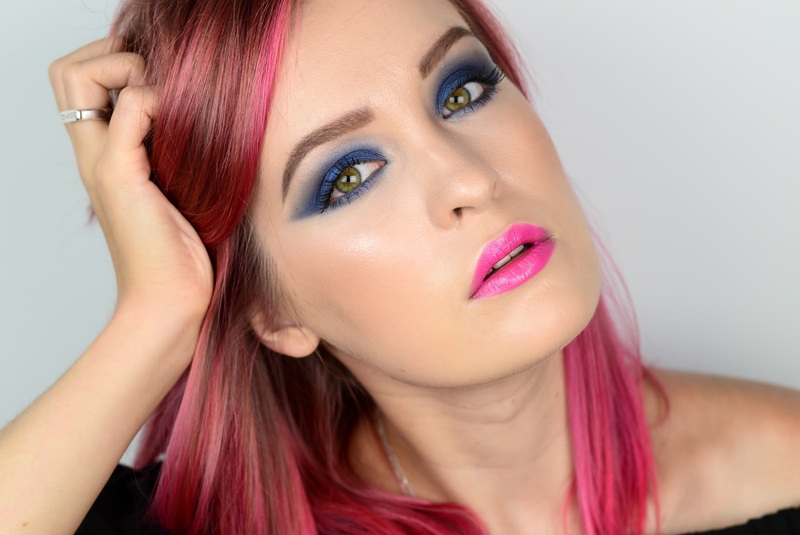 It's pigment-packed and is formulated with 40% of water for a cooling effect (it does feel a little bit cooling on the lids, you know like those cooling body creams) and has a pure color payoff. I'm not really a massive fan of liquid eye shadows. I can't even remember when was the last time when I tried one, besides this one. Probably when I was still a teen. So it took me a couple of tries to figure out the best way how to use it. First thing that I learned was - do one eye at a time, because it dries down really quickly and doesn't budge. If you want to create a smokey eye, like I did it here, be quick with blending and careful with how much product you apply. Also it's handy to work with two brushes - one with whom you start the blending process from the crease upwards and then a clean one to blend the edges out. The applicator is really easy to use and picks up the right amount of product. Next I want to try and use it as an eyeliner. Probably not going to do the flick though. I'm so bummed that you actually can't see the texture on the nails. In life it has a fantastic textured but shiny finish thanks to the finely milled glitter. So it looks elegant and edgy at the same time. Altogether it's an absolutely fantastic nail polish with a flawless formula in the most luxurious packaging. It’s very fast drying and highly pigmented - I have only one coat here. One coat!! It didn't stain my nails and it was relatively easy to remove. After a week long wear without a top coat I didn't even have one chipped nail! I am really impressed with this one. 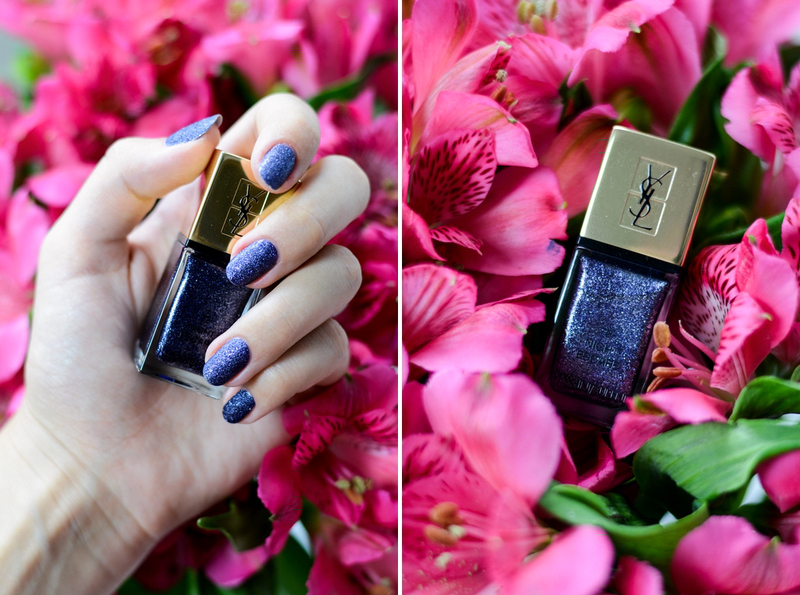 So this limited edition nail polish is definitely a must-have! 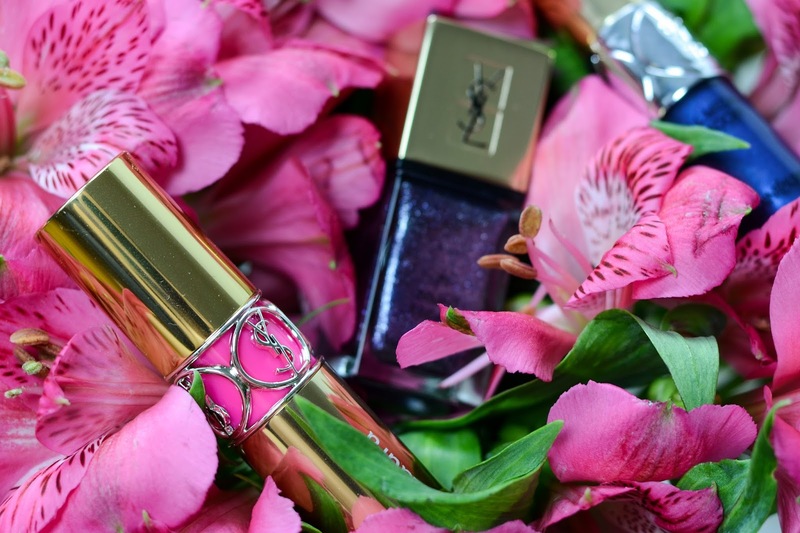 2 comments on "YSL SUMMER LOOK 2016 | SAVAGE ESCAPE"